Flip Out Mama: Hot Gift: H2O Audio Waterproof Sport Headphones! Hi guys! Today I am going to tell you about a great stocking stuffer! This one is for the dads on your list! H20 Audio makes some great waterproof electronics accessories like headphones and iPod cases. These products were designed just for athletes like runners and swimmers. They are super durable and can stand up to whatever you need them to! We got to review the new Trax Custom Fit Sport Headphones recently and we really liked them! These are the first headphones that I have ever seen that are like this. They are truly fully customizable. 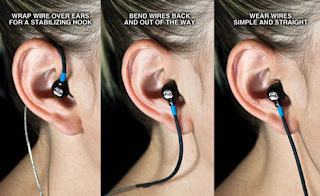 You can bend the wires up and over your ears, or bend them behind and out of your way (over the shoulder-like), or just wear them simple and straight. I really like the versatility of these headphones! 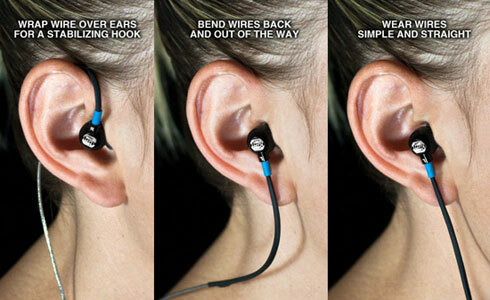 These headphones are waterproof for up to 30 minutes at a depth of 3 feet! They are designed to survive sweat, rain and humidity. The ergonomics are designed to fit in your ear really well, and to sound great! The cord is super strong so it will hold up to whatever you put it through! There are also five different earplug options included so you can choose the one that you like the best! We were really impressed with these headphones! The sound was great, and even after hubby worked out, they were still going strong and sounding fabulous! I have read a lot of reviews of other H20 Audio products and everyone sings the praises of this company and their ability to design a product for whatever your needs may be! I would definitely recommend these headphones to anyone who needs a durable set of waterproof headphones to keep up with them! 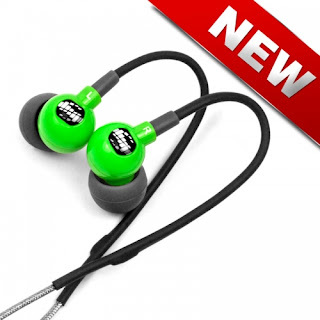 The Trax Custom Fit Sport Headphones that we reviewed are available in lime green and black and retail for $39.99. If you would like to check them out, you can do so here! disclosure: we received a sample product in order to conduct this review. Although a sample product was received, all opinions are my own and no monetary compensation was provided.